Last modified on Sunday, October 12 2008. Regarding the tumor seen in this image, which of the following statements is most accurate? A) Tumors of this kind are usually pilocytic astrocytomas. This question was created on October 12, 2008 by jdmiles. This question was last modified on October 12, 2008. 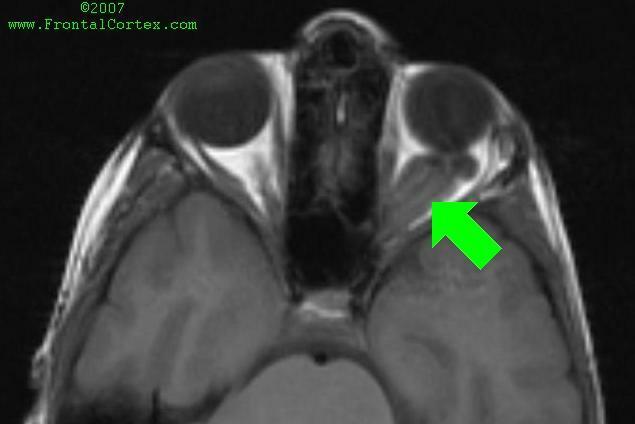 The MRI shows an optic glioma behind the left eye. 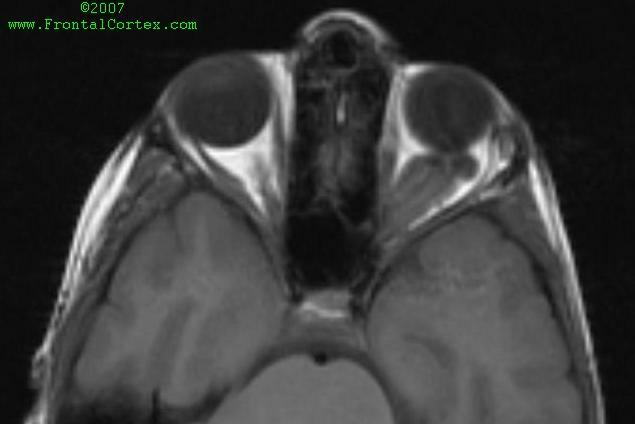 Optic pathway gliomas are a common finding in neurofibromatosis type 1 (NF1). Optic pathway gliomas are usually pilocytic astrocytomas.